Kenya, one of the well-known African countries has been emerging economically and the internet boom here is not left untouched. There have emerged several platforms catering to the different needs and requirements of its citizens. One such company that has emerged to become popular among Kenyans and its neighboring countries is ‘Jumia Kenya’. It is regarded to be the number one online retailer in the country, launched in May 2013. This company has an aim to become the country’s one-stop retail online and offline shop, catering to the growing needs of its citizens. It is also the country’s leading and the largest web retail store. From mere three employees, this company presently boasts of having staff strength of about 1000+ entrepreneurial Kenyans combined with 150 man strong client services ready to serve customers 24/7/365. They offer country wide delivery of ordered products. ‘Jumia Academy’ is the first e-commerce academy in the country having an objective to groom young entrepreneurs. It is considered to be the first African firm to win the 2013 world retail awards. It also was awarded as the 2013 Leadership ICT company, as well as Beacon of ICT Award (the year’s best e-commerce site) along with the year’s most innovative business. In 2015, it received Customer Service Excellence Award along with Rima Awards for best mobile app use and Orange Academy fame brand wall. This company was launched in March 2013 in Ngong Road, at an apartment with 5 employees and having Wi-Fi hotspot. The first delivery was made by Nick Miller, its then MD who walked on foot for 3 km. to reach the destination. Ksh 942,999 tagged on Bose 55” Videowave Series 2 Entertainment system is perhaps the most expensive items to be sold on Jumia, while the cheapest one is Ksh 12, a dice. Around 15% of items sold on the website are company owned. The remaining 85% are entrepreneur owned sold through the online marketplace. Commission received from such items is what helps Jumia to survive and succeed in business. It is the sister company to Lamudi, Kaymu, Easy Taxi, Hellofood, Jovago, all African owned e-commerce ventures by reputed Africa Internet Group. It is also regarded to be the first company to introduce Black Friday in Kenya and among the biggest e-commerce sales in the country, offering 8,000 products with huge discounts and sales lasting for 14 hours. Receiving high traffic, the portal had crashed momentarily, thereby leading to public outcry with interested shoppers eager to get huge discounts and the best deals. All employees are required to spend two days every 6 months by acting as client service agents and interact with them to understand better the entire process. Currently, this company boasts of having three hubs spread across the country, to make quick and timely deliveries just about anywhere. 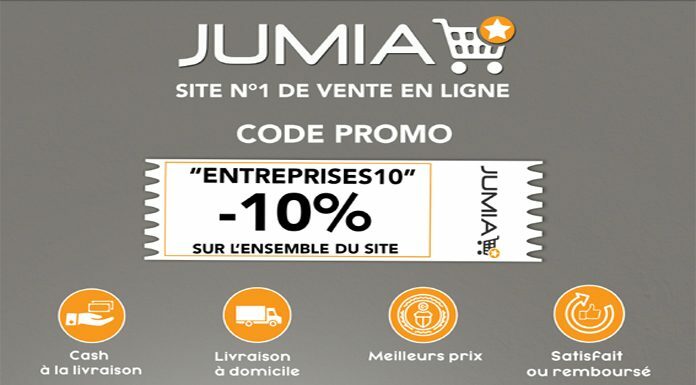 Shoppers can get hold of jumia promo code from the top portals and use them to get steep discounts on their purchase.